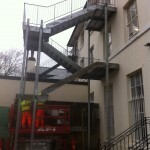 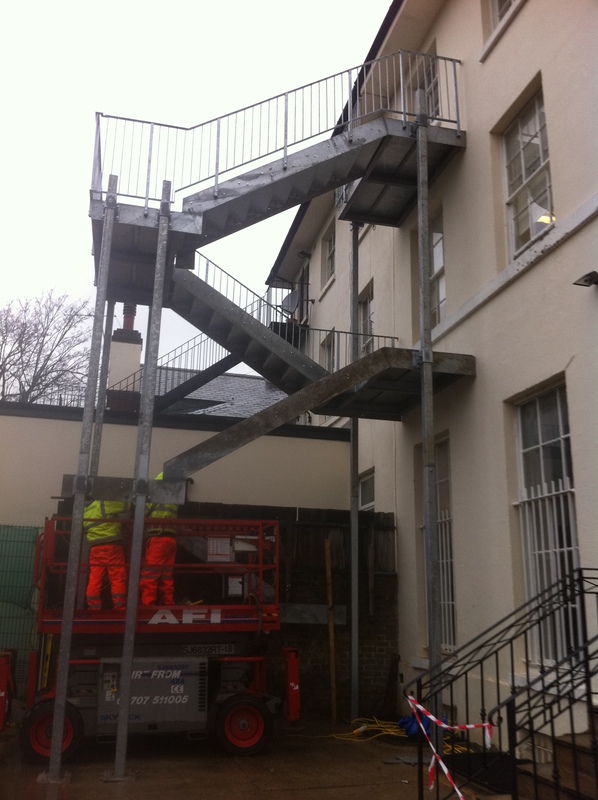 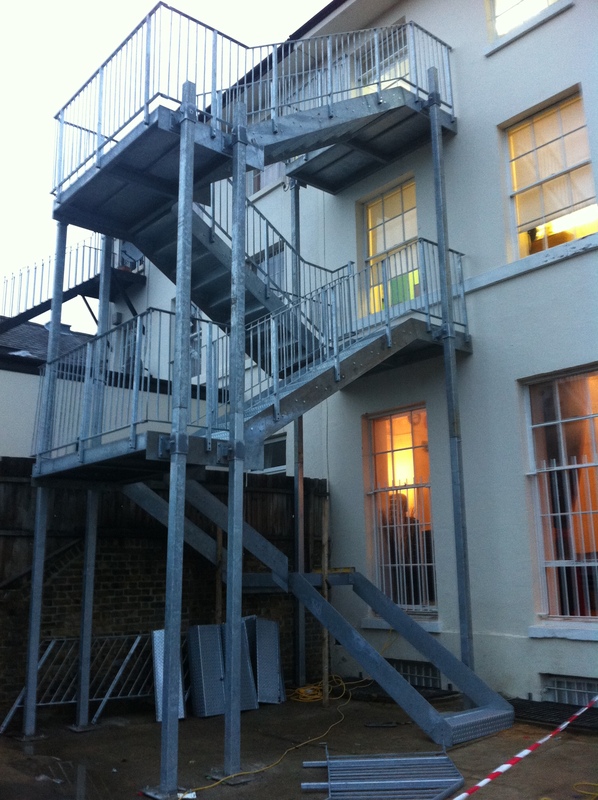 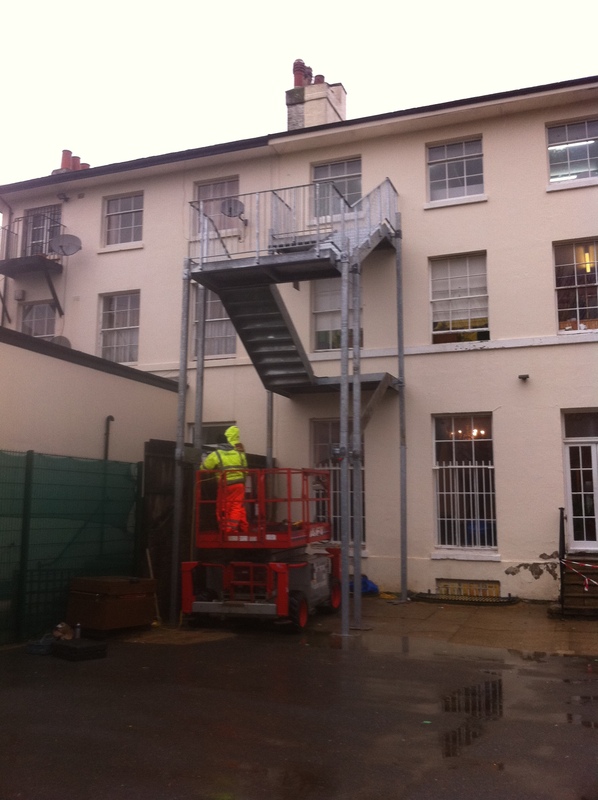 Details: After a re-organisation of their internal structure and expansion, the Academy were required to install a new fire escape to meet fire regulations. 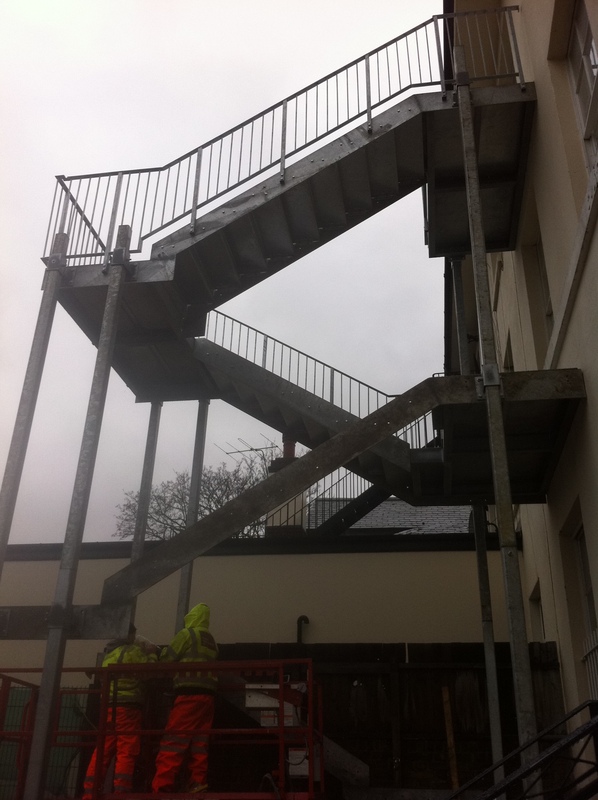 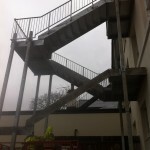 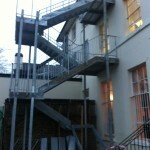 Morris Fabrications Ltd carried out a site survey and produced detailed drawings to be submitted to Building Control. 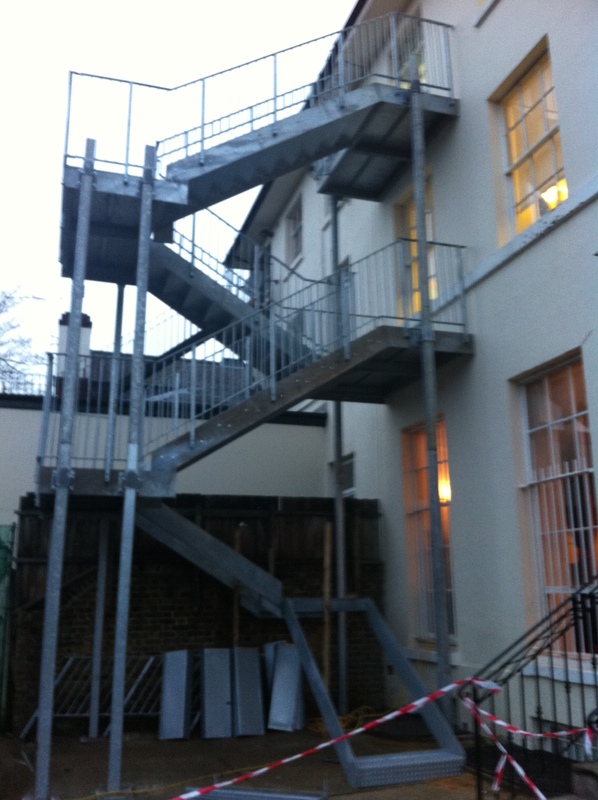 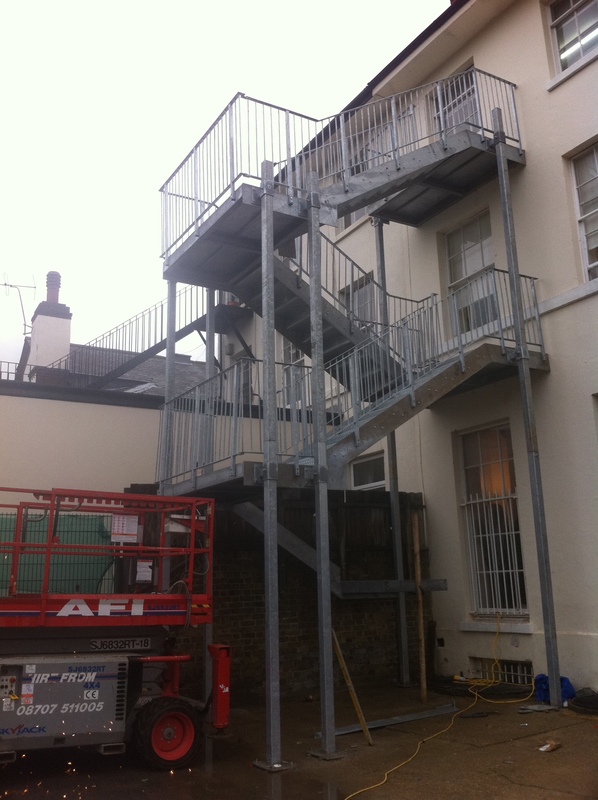 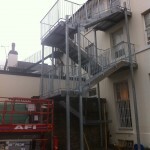 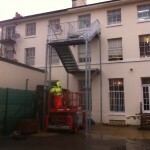 Prior to the fire escape being installed, Morris Fabrications Ltd also managed groundworkers to put foundations in place. 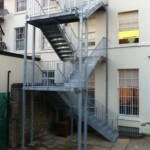 The fire escape itself is 5-flights high with 5 landings. 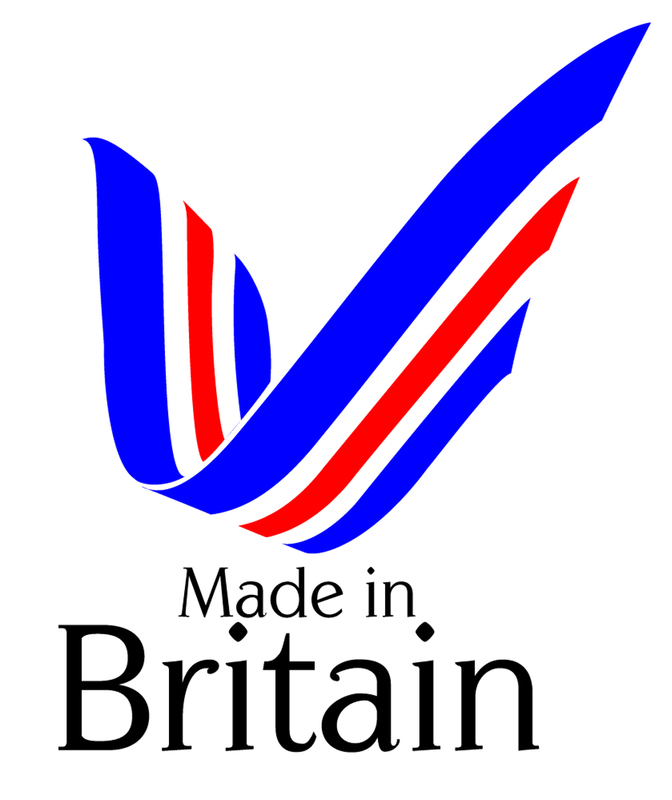 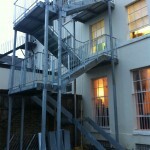 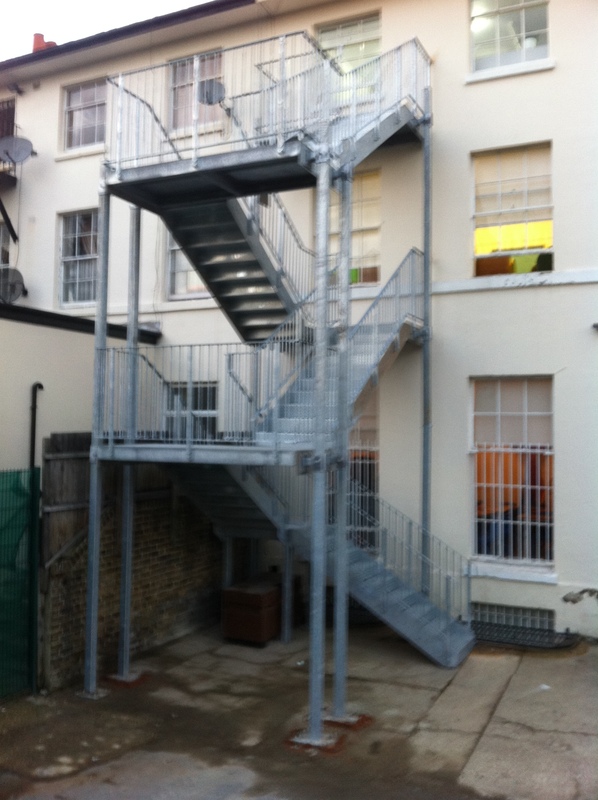 It is manufactured from mild steel with a galvanised finish.